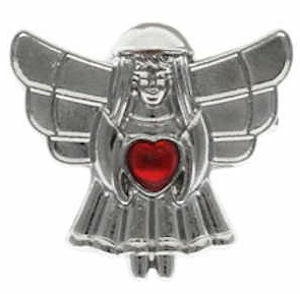 Woman Angel With acrylic gemstone Red Heart Pins. This sweet angel makes a nice gift. Open wings 1 1/2 inch silver pewter. Clutch back. Quantity pricing.